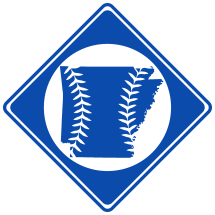 Ormand Butler Feild, born April 23rd, 1858 in Little Rock, AR, was an amatuer baseball player for various Little Rock clubs, most notably the Accidentals. See the Feild Family. Ormand was the third of twelve children born to Silas Flournoy Feild, a Tennessee-born merchant and farmer. Ormand's two older brothers, Tolly and Arthur, began playing baseball in 1869, and by 1871, Ormand began playing with them at only 12. Like his brothers, Ormand became very good at the game. After playing with several different Little Rock clubs, he joined the Accidentals in 1875. In September of that year, the Accidentals joined the Foul Flag Association and won the championship. Ormand continued playing baseball until at least 1883. About 1886, Ormand married French immigrant Felice M. Gachoit. He worked as a farmer and gardener most his life and died in Little Rock in 1932.